It has been quite a year for Lady Gaga. She won a Grammy and an Oscar which is such a feat for anyone to have! But lately, there have been rumors and speculations going around about her and Bradley’s romance. While there are wild romantic speculations going on with Cooper, a new rumor has emerged. The rumor of Lady Gaga being pregnant. 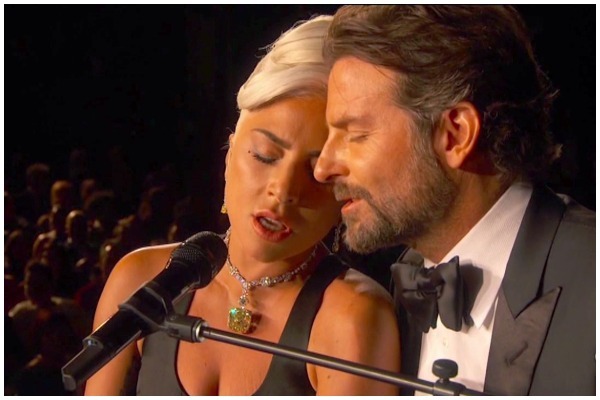 It didn’t help that both of them had an intimate performance at the Academy Awards ceremony coupled with a viral snap of him with red lipstick on his collar. So, Lady Gaga took to Twitter last night and set the record straight about the pregnancy rumors surrounding her. She’s not expecting—but she still did announce some great news. “Rumors I’m pregnant? Yeah, I’m pregnant with #LG6,” she tweeted last night. “LG6” is an abbreviation for “Lady Gaga 6,” referencing the singer’s sixth solo album. She just didn’t talk about the sixth album but she also followed Rihanna and Bloodpop. It may seem like nothing unusual but Gaga only follows 40 people on Instagram. Most of them are the ones she has worked with! The 32-year old singer, who recently split from her fiance Christian Carino, told Jimmy Kimmel: “First of all, social media quite frankly is the toilet of the Internet and what it has done to pop culture is abysmal. “And people saw love, and guess what, that’s what we wanted you to see. This is a love song, the movie is a love story.”. Well, we are quite excited about the next album and can’t wait to hear it! Follow us on FaceBook and subscribe Eventznu for all the latest Hollywood News and Red Carpet Fashion.